All too often I hear from a potential client months or years after an event that they NOW want to use as the basis for a significant change. Potential Client: My ex took our child, moved to California and did not tell me. She can’t do that, right? What can I do about it? Lawyer: What was the custody arrangement and when was the move? PC: She had physical custody and moved 2 years ago. Lawyer: What have you done the last 2 years? Have you seen the child? PC: Oh, I’ve seen her some, around the holidays and the summers, but now I want custody. Lawyer: Is the mom unfit? Is the child in danger or trouble? PC: No, but she took her out of state. That’s kidnapping, right? It’s not kidnapping and the move will likely not serve as the basis for a custody change with nothing more. Also, your failure to act in a timely manner will be used against you. Even though you did not “agree” you’re conduct showed you “acquiesced.” Acquiesce means to “agree” by being silent or by not taking action immediately, objecting to the change. It’s not just in Custody matters either. Marital fault, financial shenanigans and other improper conduct is lessened with time. 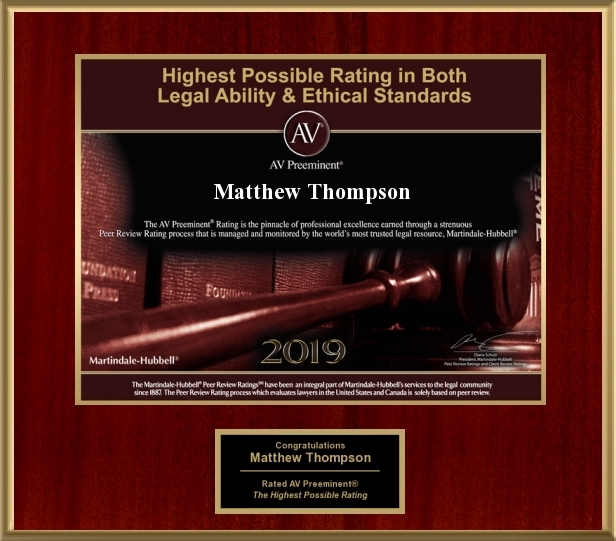 Matthew Thompson is a Mississippi Child Custody Law attorney and advises Don’t Delay, Call Today!